You’ll agree with me if you have experience with A3 printers. The problem with such devices is that you have to manually change the media size every time your needs change. What we mean is that when you want to print A3, you have to manually replace A4 sized sheets with A3 sized sheets. At least, this used to be the case for a while before Original Equipment Manufacturers became wise to the problem. The Epson WorkForce WF-7725 is part of that trend correction. This is a 4-colour A3 multifunction inkjet printer that offers up a lot of versatility. 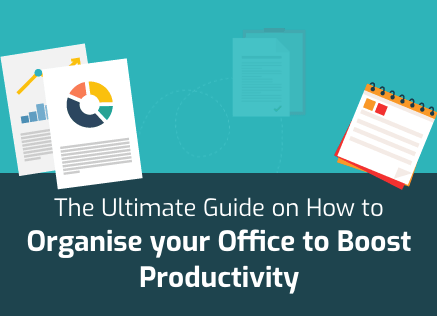 This means that it is not only good for printing, copying, scanning, and faxing but also gives you multiple ways of utilising those core functions. For example, you can scan to or print and fax from the computer. Similarly, you can scan to or print from a USB drive or a memory card. This device is intended for the Small Office / Home Office (SOHO) market but within it, it can be used by those with heavy-duty printing needs. Here’s our review. 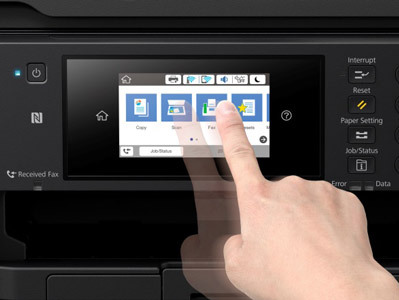 The aforementioned dual paper input option is the most attractive feature of the Epson WorkForce WF-7725. The device can handle up to 500 sheets divided between two input trays of equal capacity. There’s even a manual rare feed that can be used in a pinch. This means that you can load one tray with A4 sheets, the other with A3 sheets, and still have the option of using a different sized media via the rear feed. It is this versatility that will appeal to so many businesses despite the fact that scaling paper capacity is not an option in any form. 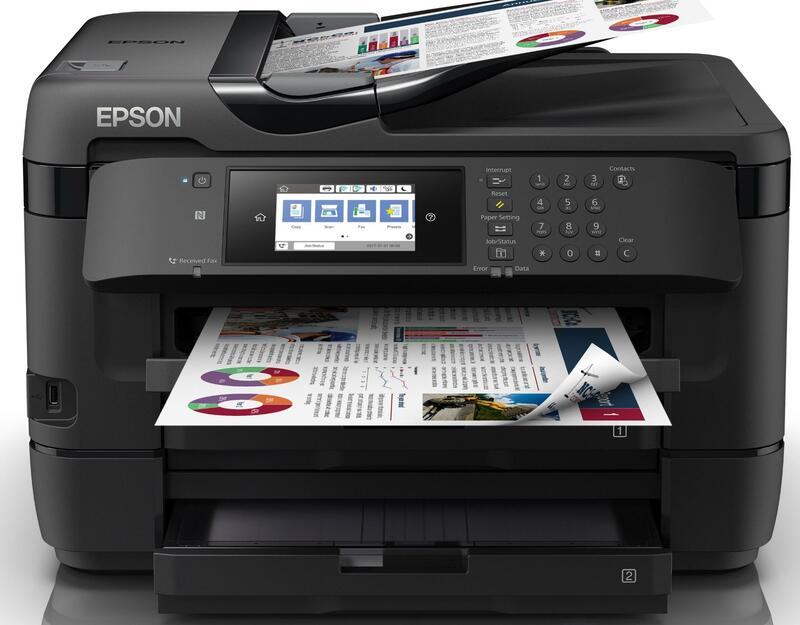 Connectivity is also a great strength of the Epson WorkForce WF-7725. It not only offers the usual Ethernet, USB 2.0, and wireless connectivity options but goes one step ahead with Wi-Fi Direct and Near-Field Communication (NFC). Furthermore, you get mobile compatibility with platforms such as Google Cloud Print and Air Print. Epson Connect will also be available to you. 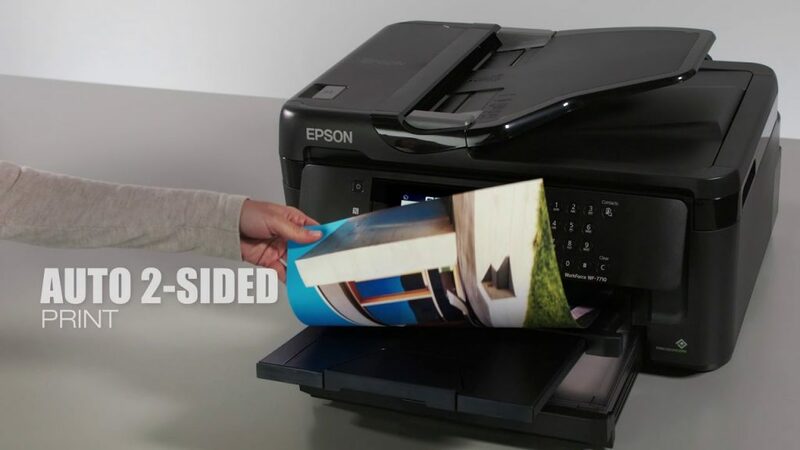 It will make email printing, scanning to the cloud, remote printing, and using the Epson iPrint app possible. We’re going to put the output quality of the Epson WorkForce WF-7725 in the ‘strengths’ section even though there is one flaw associated with it. The device’s maximum possible output resolution is 4800 x 2400 dots per inch (dpi). When it comes to text printing, the WF-7725 excels and delivers at the top end of the accepted output quality spectrum in the industry. Photos, surprisingly, are equally good. Where the WorkForce WF-7725 stumbles is with graphics printing. The problem is that of banding and inconsistency, especially with solid colours. They’ll probably be okay for internal use and even for handing out to some clients but if you want to make an impression, they may not pass muster. The Epson WorkForce WF-7725 is on the expensive side of things. The listed market price of $449, may put many of you off this device but our advice will be to stick with it. Shopping around for discounts and offers may result in significant reductions in this cost. You can probably get this device for around $350 if you’re patient about it. 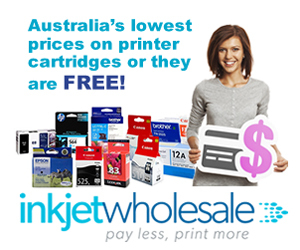 Running costs, though, will remain high even with aftermarket cartridges. If you use compatible or generic cartridges, you’ll end up paying about 13.59 cents for every page you print. The exact per-page cost, of course, will vary on the basis of the cost of your aftermarket cartridges. With OEM or genuine cartridges, though, you’ll have to pay 14.22 cents per page. In terms of print speed, there’s no denying that there are faster A3 inkjet multifunction printers out there. It is because of this that we’ve included print speed as a weakness of this device. At the same time, you have to accept that the Epson WorkForce WF-7725 isn’t the slowest either. It is rated to print at a speed of 10 pages per minute (ppm) for colour documents and 18 ppm for monochrome documents. 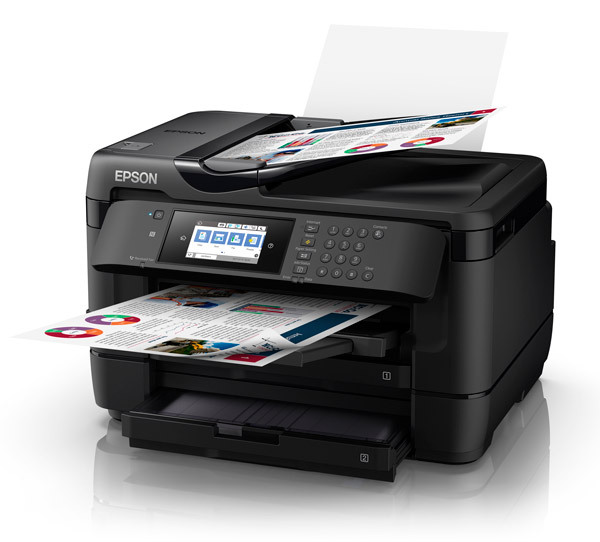 Like all A3 multifunction devices, the Epson WorkForce WF-7725 is big, bulky, and difficult to move around. It measures 567mm wide, 452mm deep, and 418mm high which means that you’ll have to give it a dedicated niche. It’s also a good idea to decide upon its resting place once and for all because moving it around is going to be a problem. After all, it weighs plus 22 Kg. The scanner on the Epson WorkForce WF-7725 is also to its credit not only because it can handle A3 sheets but also its output and features. The maximum resolution that the scanner on this device can scan in is 1200 x 2400 dpi. Furthermore, you can use this machine to scan to email or even third-party platforms such as Google Drive, Ever Note, Dropbox, and Box. The control panel of the Epson WorkForce WF-7725 is fairly impressive too. It comprises an intuitive, colour LCD TFT spanning 109.22mm, an alphanumeric keypad, and a number of buttons. Gesture navigation is a feature of this control panel as is the fact that you create 12 presets through the user interface with varied settings based on parameters such as destination, resolution etc. The buttons on the control panel are ‘Power’, ‘Interrupt’, ‘Reset’, ‘Paper Setting’, ‘Job/Status’, ‘Contacts’, and ‘Clear’. Indicator lights are also present for showing faxes being received, errors, and data. The warranty you’ll receive on the Epson WorkForce WF-7725 will be 12-months Return to Base but you’ll have the option to increase it by two more years for $99.